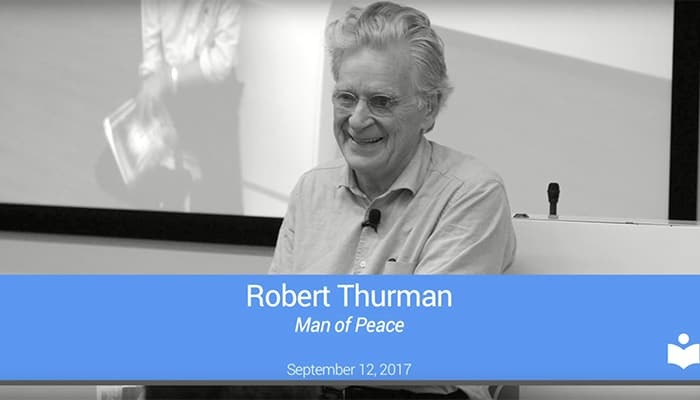 Robert Thurman visits Google to discuss his new graphic novel, Man of Peace, a gorgeously illustrated and inspiring graphic novel tracing the life of the Dalai Lama as he takes on an empire and strives to bring universal compassion to the world. A recognized worldwide authority on religion and spirituality, Asian history, philosophy, Tibetan Buddhism, and His Holiness the Dalai Lama, Robert A.F. Thurman is an eloquent advocate of the relevance of Eastern ideas to our daily lives. In doing so, he has become a leading voice of the value of reason, peace and compassion. He was named in 1997 one of Time magazine’s 25 most influential Americans and has been profiled by The New York Times Magazine and People magazine.